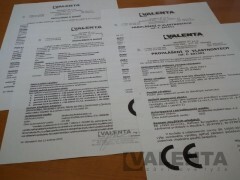 Standard certificates and declarations - Valenta ZT s.r.o. This section contains general statements on standard fasteners. This is mainly a declaration of conformity and the declaration of performance. They are generally valid statement on standardized material. 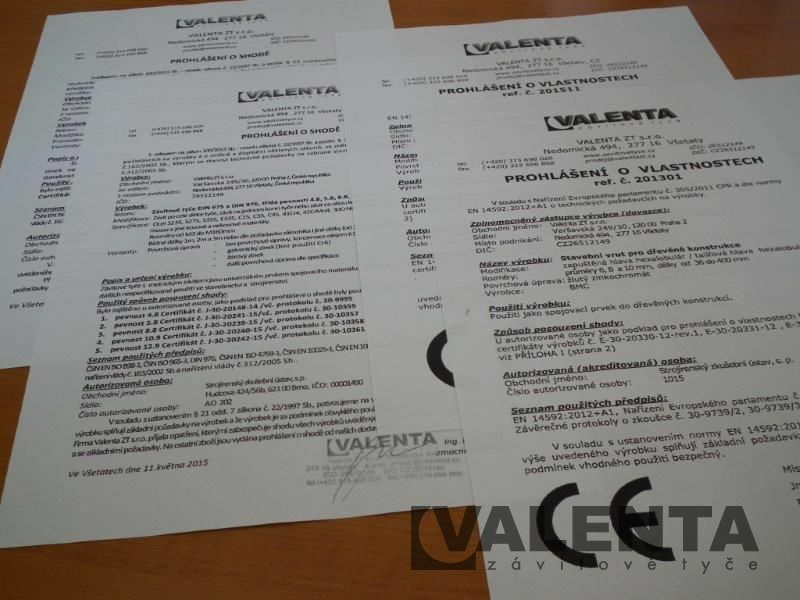 They are therefore free to download and can be used retroactively to already purchased goods provided that they are indeed goods supplied by Valenta ZT. If you need another certificate to any specific products, please refer to the following page called "Custom certification". These files are stored here in the PDF format, which can be read by the freeware Adobe Reader program. You can download it for free from the manufacturer's official website.